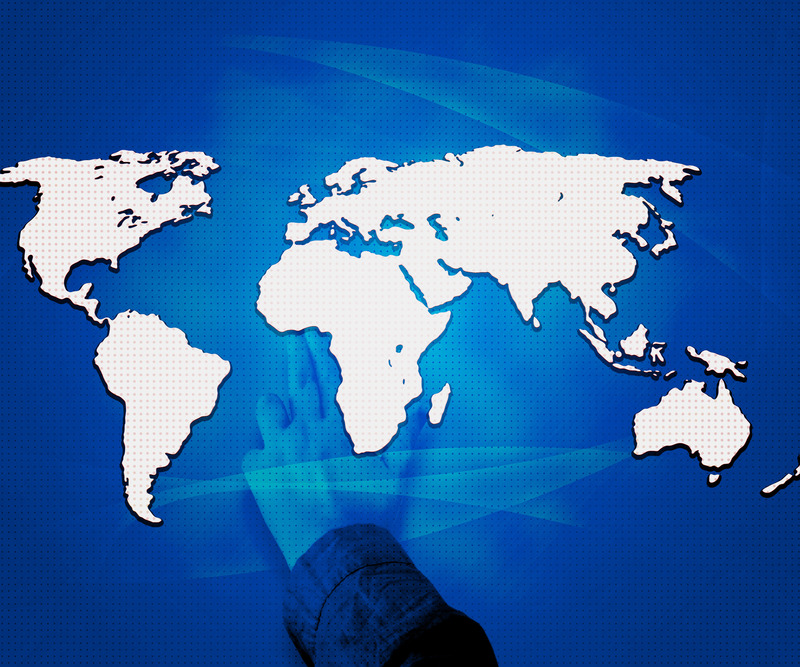 Outsourcing – opportunity or threat? This article will examine the case for outsourcing in the specific context of smaller markets such as the International Financial Centres (IFCs) in the Channel Islands, Switzerland and Caribbean. These centres are characterised by a high cost of doing business, limited pools of skilled labour, restrictive employment legislation and a stringent regulatory environment. All these factors influence the decision to outsource and have a bearing on the type of supplier to consider. Outsourcing has been around for many years, having started in the IT industry in the 1990s, and now extended to encompass many back office processes, where it is often termed Business Process outsourcing or BPO. All sizes of firms have successfully used outsourcing strategies to reduce costs and create value. However, largely due to some poorly implemented BPO projects, outsourcing is not always seen as positive by customers. As customers ourselves, we have all probably experienced bad examples of outsourcing, characterised by offshore call centres operating at low margins, where poorly trained operators have little understanding of the business context or customer requirements. These bad experiences, combined with other factors such as global economic conditions, saturation of traditional offshore locations and protectionist policies in the UK and US have resulted in some organisations re-assessing their business cases for outsourcing. Thankfully, the poor BPO operations are in the minority and there are many more examples of organisations who have successfully outsourced services and processes and achieved significant business benefit. Research overwhelmingly shows that large and medium sized firms outsource primarily to save cost, for example: In a sample of S&P 500 firms, firms identified as outsourcers operate in more competitive industries and have relatively worse operating performance, higher administrative overhead, and higher labour overhead. These characteristics are consistent with cost cutting objectives and the need to respond to competitive pressures and clients who are more likely to move based purely on cost factors. In contrast, small firms tend to augment their internal competencies by engaging with networks of external innovation support. Also, for small firms the decision to use external partners is not a simple make or buy decision, but powered by sheer necessity because in-house resources are fully stretched. This is particularly so for firms operating in IFCs who are often unable to expand by taking on more staff due to high employment rates and cost. In the offshore markets outsourcing has often been seen as a populist enemy, particularly when there are threats to local jobs with firms announcing the ‘relocation of jobs overseas’. These attention grabbing headlines only tell part of the story and are designed to sell newspapers rather than provide a balanced view of the decision. I see outsourcing as an opportunity for a business by providing a structure for staff to focus on adding value to its clients and not get distracted by low level administrative tasks. An administrator in a wealth management business is often challenged by the sheer volume of work they have to do. If a significant proportion of this work can be outsourced to a specialist provider then the administrator can focus on high level tasks. Not only does this benefit the customer, but it often results in more revenue for the organisation. Using technology, economies of scale and the right jurisdiction, the service provider can focus on delivering the best and most efficient service which can be significantly cheaper than a local service. These factors can ensure the long term success of the business, where before, without outsourcing, the very survival of the business was in question. Concerns typically voiced by executives associated with outsourcing include; loss of control; availability of talent; lack of understanding of the business environment; impact on the quality of service; cultural alignment; data security; process control; change management and governance. It is certain that these areas represent a number of real risks to outsourcing and offshoring processes. However, these risks are not unique to outsourcing and many will be present in a self-managed operation. All risks and issues need to be proactively managed and this is where the choice of outsourcing partner and the associated business transition process is key to success. Novelty – services that are not essential to the overall offering but may reflect a specific niche or where expertise is restricted. Proprietary – these services are based on the core competencies of the organisation are unlikely to be considered for outsourcing. Commodity – standard services that are commonly available and do not add significant value to the overall business are considered for outsourcing. Utility. – services are regarded as critical to the final product but are based on readily available solutions/technology. Once a service has been identifies as suitable for outsourcing then a project can be initiated to look at potential service providers and the opportunities for outsourcing to lower cost jurisdictions. In the context of financial services there are many services that fall into the area of commodity such as reconciliations, bookkeeping and accounts preparation to name just a few. As technology improves more services become a commodity and the opportunity to outsource increases. I am currently working with a service provider in Mauritius, who is part of a global professional services firm and has experience in IT, accounting, bookkeeping, administration activities and other more specialised areas. From a financial services perspective Mauritius has a lot of benefits in that it has a stable government, good access to highly trained people, low cost of operation, similar work culture to other IFCs and a convenient time zone. A well run outsourced operation in Mauritius will enable staff in the home country to send work to the provider, which will be turned around before the start of the next business day. This not only provides a more cost effective service but also results in an improved service. At Solitaire Consulting, I and my associates have experience in managing outsourcing projects from initial feasibility, through the transition period to final go-live. There are several key factors that have to be in place to succeed with outsourcing, not least having a trusted partner to work with. However, my ‘Golden Rule for Outsourcing‘ is to never outsource a problem. If you don’t understand the process fully and have not optimised it, then the opportunity for problems downstream are many. Investing in process improvement and automation as part of the transition will help to ensure success for you and your partner. If you would like to discuss my experience with outsourcing or would like advice on the suitability of your services for outsourcing then please contact me for a no obligation free consultation. I read this article with great interest. I am a Finance professional working in a medium sized Group as CFO but with interest in consultancy. Last year, I founded my consultancy firm with referral arrangements with Global Business firms / ERP consulting professional and other Accounting related issues. I have always fancied a venture in BPO. I note you are already working with a service provider in Mauritius. In the event, you wishes to have a new venture in Mauritius, please do let me know as we could explore some possibilities. Thank you for your comment. I love working in Mauritius and would be delighted to explore potential opportunities. Please contact me by email to paul@solitaireconsulting.com so we can discuss further.